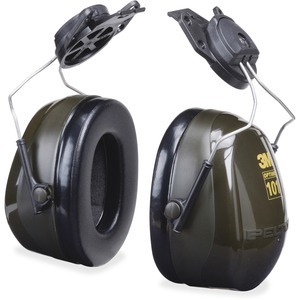 Peltor Optime 101 cap-mounted earmuffs feature a stainless steel headband for consistent force and effective hearing protection. They are a nonconductor of direct electric current (dielectric). Noise Reduction Rating (NRR) is 24 decibels. CSA Class A. Cap mounting allows easy use with most hard hats. 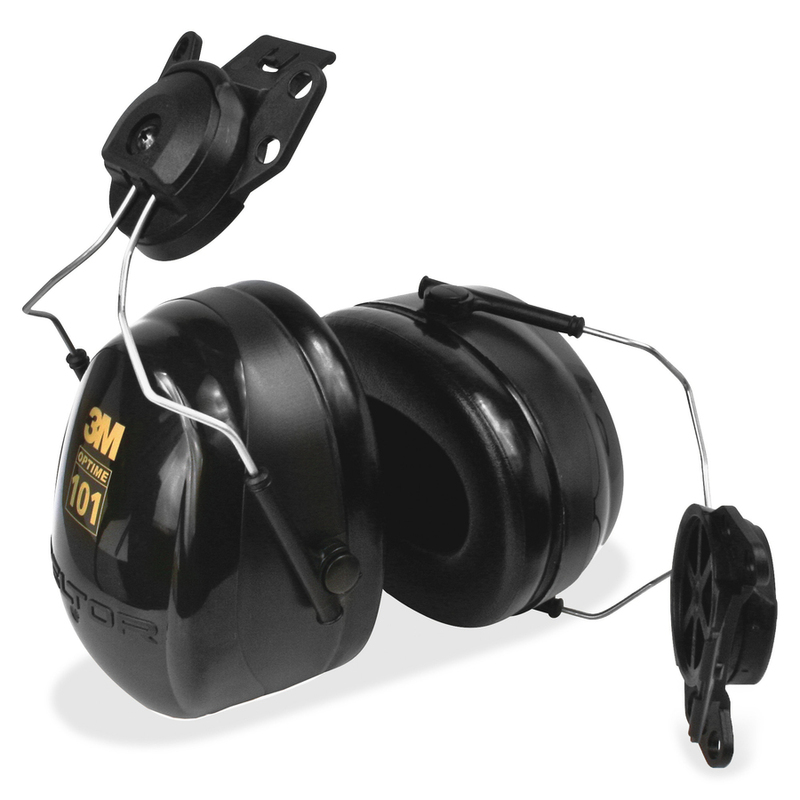 Design also includes liquid/foam-filled ear cushions and color-coding for compliance sighting. One size fits most. Recommended applications include facility maintenance, grinding, machine operations, sanding, welding, demolition, painting, blasting, assembly and cleaning.